Tracy Klaas was born and raised in Cape Town, lived in London and Johannesburg. A single mother, she resides in Cape Town with her three children. Tracy Klaas has been performing stand up comedy since her arrival in Cape Town in 1999. She is known for her ‘growing up disgracefully’ stance on life and being dragged towards middle age – kicking and screaming rather than floating gracefully on a cloud of Clarins and botox. She also gives a unique take on those issues women hold very dear; children, weight, aging and food. Tracy has co-starred in two full length shows with fellow comedienne Mel Jones – “Doing it for the Money” and the sequel at Grand West’s Roxy Revue Bar, “Still Doing It”. As one of the few female stand ups in South Africa, Tracy takes an irreverent look at what women find funny – themselves. In July 2011 Tracy appeared in her first full length stand up show – Klass Struggle which ran at On Broadway for three weeks. 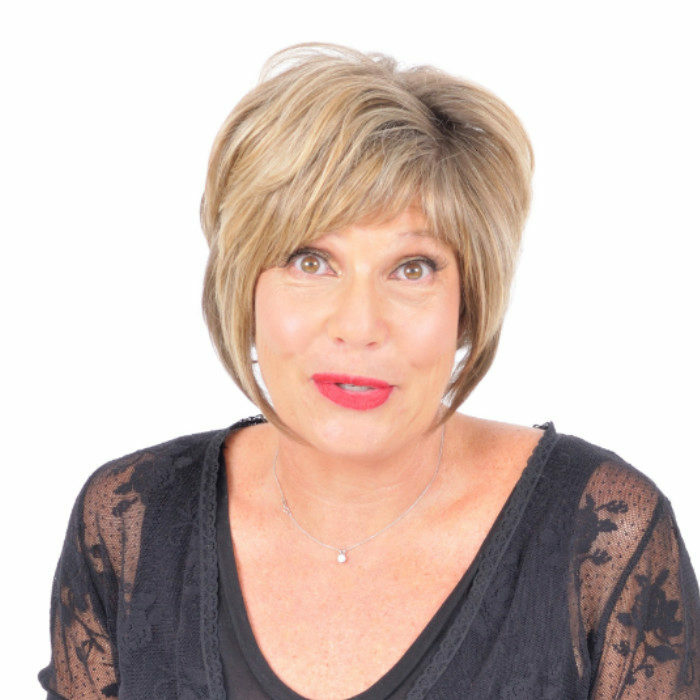 She started her comedy career at the CCC – Cape Comedy Collective and has performed all around South Africa – from the Barnyard in Plett, the comedy venues in Johannesburg to corporate functions for a variety of companies. Tracy has appeared on TV in a number of comedy shows.